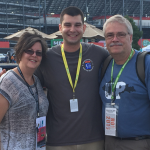 Responsible race fans earned valuable rewards at the AAA 400 Drive for Autism at Dover International Speedway on June 4, 2017. 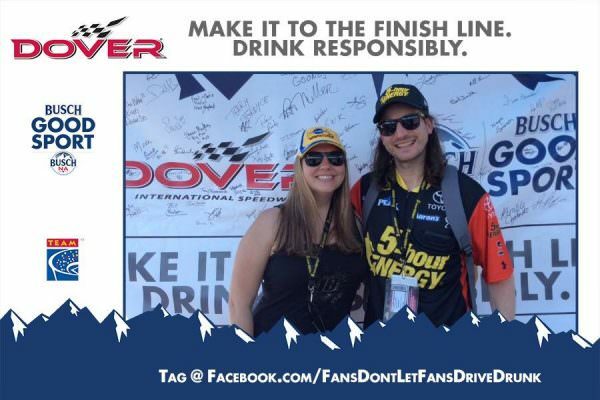 The track, Busch and TEAM Coalition partnered to promote responsible drinking and traffic safety at Dover International Speedway. 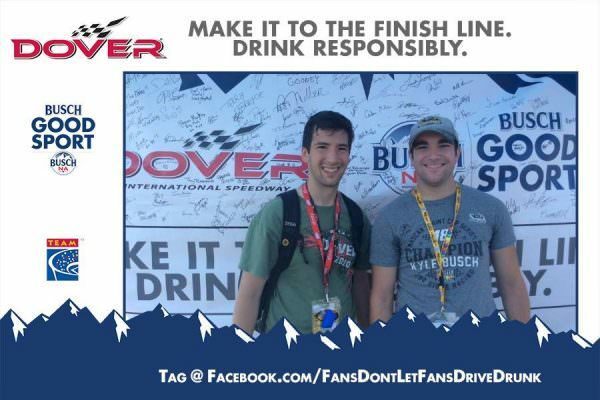 CLICK HERE TO SEE ALL OF THE FAN PHOTOS ON FACEBOOK! 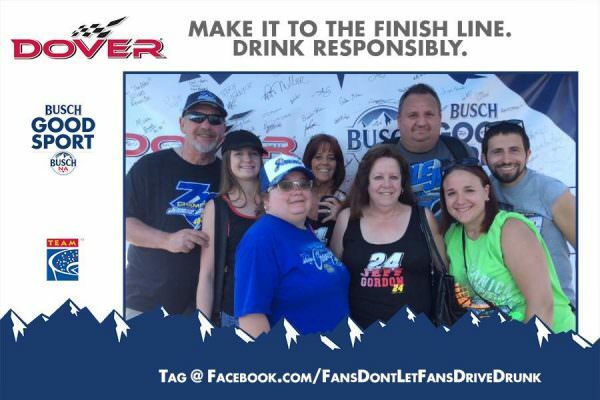 Before the race, 318 fans made the pledge to be the designated driver for their group. 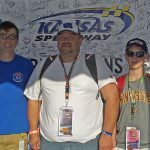 All of them had the opportunity to receive a free souvenir photo, instant prizes, a bottle of Aquafina water, and a chance to be selected as the Designated Driver for the Race. One randomly selected, responsible fan will win the Responsibility Has Its Rewards sweepstakes. 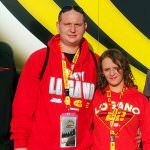 The grand prize includes two tickets and a VIP experience for two at the Monster Energy NASCAR Cup Series™ race at Dover International Speedway on October 1, 2017. 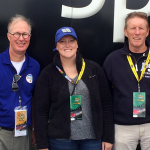 The Designated Driver for the Race from the 2016 Citizen Soldier 400 at Dover International Speedway, Kevin Nolan, received his Responsibility Has Its Rewards sweepstakes prize on Sunday – two tickets and a VIP behind-the-scenes experience before the race. Dover Motorsports, Inc. (NYSE: DVD) is a leading promoter of NASCAR sanctioned motorsports events whose subsidiaries own and operate Dover International Speedway in Dover, Del. and Nashville Superspeedway near Nashville, Tenn. The company also plays host to the Firefly Music Festival, which is produced by Red Frog Events and Goldenvoice. For more information, visit www.DoverMotorsports.com. Anheuser-Busch and its employees build on a legacy of corporate social responsibility by focusing on three key areas: promoting alcohol responsibility, preserving and protecting the environment and supporting local communities. In the past three decades, Anheuser-Busch and its wholesalers have invested more than $1 billion in national advertising campaigns and community-based programs to encourage responsible drinking and prevent underage drinking and drunk driving. Anheuser-Busch reduced total water use at its breweries 15 percent over the last 5 years and by 48 percent over the last 10 years. The company has been a leading aluminum recycler for more than 30 years. Since 1997, Anheuser-Busch and its Foundation have invested in local communities through donations of more than $573 million to charitable organizations. The company also has provided more than 73.6 million cans of emergency drinking water to people impacted by natural and other disasters since 1988. Based in St. Louis, Anheuser-Busch, the leading American brewer, is a wholly-owned subsidiary of Anheuser-Busch InBev, the leading global brewer. For more information, visit www.anheuser-busch.com. TEAM Coalition is an alliance of professional and collegiate sports, entertainment facilities, concessionaires, stadium service providers, the beer industry, distillers, broadcasters, traffic safety experts and others working together to promote responsible drinking and positive fan behavior at sports and entertainment facilities. TEAM Coalition members and supporters include NASCAR, Major League Baseball, Major League Soccer, National Basketball Association, National Football League, National Hockey League, National Collegiate Athletic Association, Americrown, Aramark, Delaware North Sportservice, Legends, Spectra, Beer Institute, National Beer Wholesalers Association, Anheuser-Busch Companies, Constellation Brands, HEINEKEN USA, MillerCoors, Brown-Forman, Live Nation, National Association of Broadcasters, Contemporary Services Corporation, International Association of Venue Managers, Stadium Managers Association and the National Highway Traffic Safety Administration. For more information visit TEAMCoalition.org or FansDontLetFansDriveDrunk.org. •10,265 people were killed as a result of alcohol-related (BAC > 0.08) car crashes, an increase of 3.2% from the 9,943 fatalities in 2014. • Many, if not most of those lives would have been saved if people did not drive when they were impaired by alcohol or if they used sober, designated drivers or if they simply wore their seat belts. • Statistics and research clearly show that 21-34 year old males are the demographic most likely to be involved in an automobile crash, drive when impaired by alcohol, and fail to buckle up. If you would like more information or have any questions about TEAM training, please contact us. Responsibility Has Its Rewards | Fans Don't Let Fans Drive Drunk | TEAM Up 2 Win!